Fire up The Barbi, National BBQ Week Starts Monday! Londonist_Krista Fire up The Barbi, National BBQ Week Starts Monday! The 28th of May marks the start of National BBQ Week, and the National BBQ Association is hosting events up and down the country in their bid to get you to barbecue better and more often. Are you a wonder on the Weber? Then enter the barbecue beauty contest, Britain's Best BBQ'er. (The top prize is a trip to America's biggest BBQ event, Memphis in May.) Or battle it out with your partner in the Battle of the Barbi's. Follow the Barbi buses around the country, staffed by top chefs and full of product samples. (No word on who the top chefs are just yet.) 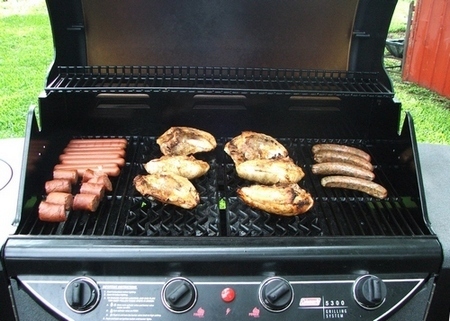 Check out the National BBQ Week Web site for all sorts of recipes and tips. And if you do decide to throw a shrimp or two on, us here at Londonist are free all week. Photo courtesy of Ron Bergeron on morguefile.